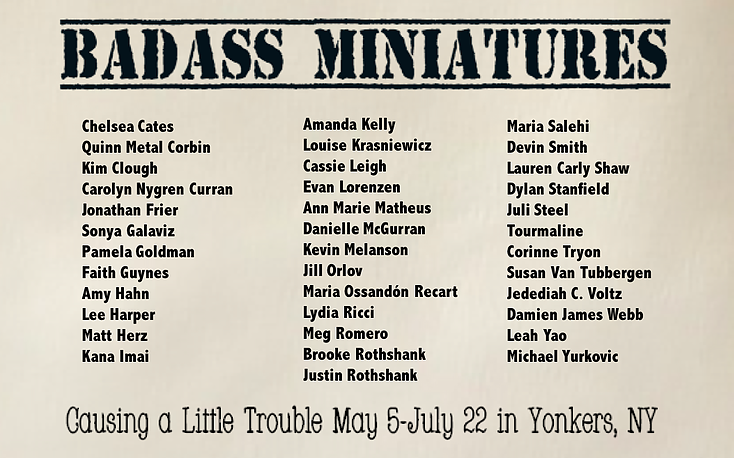 Now on view through July 22 at YoHo Artists Studios in Yonkers, NY, BadAss Miniatures presents emerging perspectives in the miniature arts; an exhibition of original works in miniature form contributed by over 30 artists from across the United States and abroad. Featured works represent a novel movement that challenges the status quo in the miniature art form through the presentation of unconventional ideas and concepts and the quirky, outlandish, surprising use of miniatures. 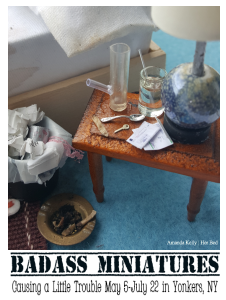 BadAss Miniatures aims to push the envelope on the traditional (rethink the dollhouse!) with an edgy and bold attitude showcasing jaw-dropping, surprising—maybe even shocking—miniature badassery to hit the 21st century. 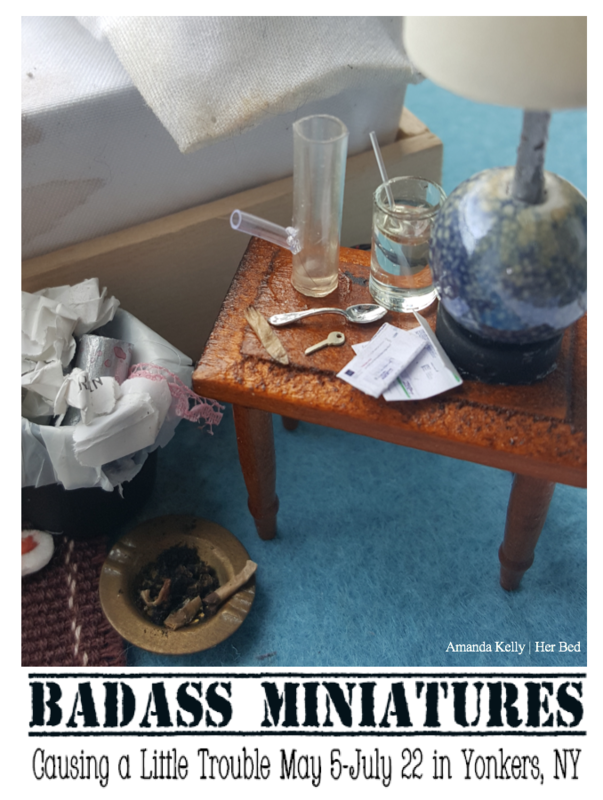 To view all BadAss Miniatures artwork on display, click here. To shop BadAss Miniatures works available for sale, please visit dthomasfineminiatures.com. For a list of all participating BadAss artists, see below. Gallery hours by appointment: Wednesday and Thursday 3-7pm and Saturday 11am-7pm. Hours are subject to change, so visitors should call ahead. For BadAss Miniatures, more than 30 artists created tiny art without boundaries. Expect to see miniatures in 1:12 scale and smaller that are: defiant, quirky, and make you slightly uncomfortable. Welcome to the disobedient dollhouse. D. Thomas Miniatures is a retail destination featuring artisan miniatures and top quality collectibles located in the historic Hudson Rivertown of Cold Spring, NY. A curated selection of miniatures can also be found in the museum store at The Hudson River Museum in Yonkers, NY. To read more about the shop’s opening in 2014, click here.